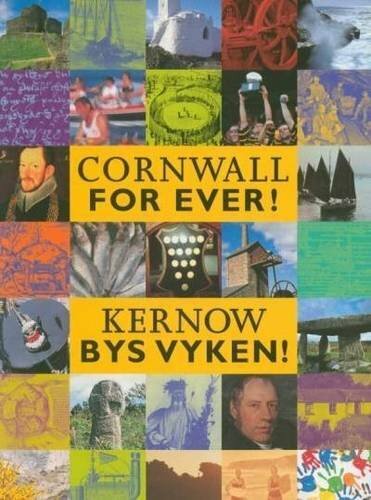 Christmas/Nadelik | Cornwall For Ever! Christmas (also known as Nadelik) is very special in Cornwall – it was important for Cornish people even when other parts of the world didn’t celebrate it. Around 200 years ago, Christmas was only celebrated in areas of Britain that were far away from cities, and one of these places was Cornwall. Christmas became popular again in the early 19th century and many people started looking for traditions that they thought had been lost. Lots of these traditions could still be found in Cornwall, particularly Christmas carols. Many of the familiar Christmas carols that we know today were collected in Cornwall, including favourites like ‘The First Noel’. There are also a lot of uniquely Cornish carols, many of them written by the Cornish composer Thomas Merritt, who was also a miner. In Cornwall, many carols are sung with tunes different to the rest of the world, including ‘While Shepherds Watch’, which in Cornwall is sung to a tune called ‘Lingam’. At one time, even Cornwall’s Christmas food was different, with mince pies being baked square rather than round, as this was supposed to represent the shape of the manger Jesus slept in as a baby. Christmas is also a popular time for guise dancing, when people disguise themselves, often with masks, and perform to entertain others. The candle dance is another tradition that can occasionally be seen at this time of year, especially on Christmas Eve. It is performed by dancing around a basket of brightly coloured candles after dark. During the festive season, many people travel around Cornwall to see its impressive Christmas lights. Mousehole probably has the most famous, with coloured lights on show all over the village.